Cheapest car lease and rent a car in manila offer’s solutions to this common problems. Our cheapest car lease gives an option to buying new or 2nd hand vehicle or we can just purchase a brand new one for you. Not only time consuming for start up business. But the risk and cost ineffective for company expenditures as well. Even established companies opted to lease car with us. Especially when it will be used for a period of time only and vehicle maintenance are just tiresome or burdening for some companies. Payments made and selected by monthly dated checks, quarterly advances and or by whole year. Each corresponding payment scheme does have it’s certain discount and price point. Brand new vehicle request can be accommodated for long term car lease or car rental request self drive or with a driver is 18 months and above. 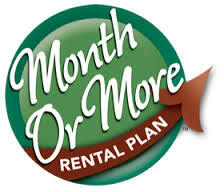 Car rental service short or long term lease services on the other hand . Short (60 to 90) days or Long term (minimum of 6 months). Is also ideal for start up’s on a budget with out ever worrying about taxes. We offer tax adjustment or we can make certain adjustments on our withholding tax provided that the necessary requirements are met. When it comes to vehicle safety and security we have our own insurance policies and monitoring! VMCT offer’s guaranteed quarterly check up’s or periodic required maintenance. Like ,Share and Follow us on Facebook https://www.facebook.com/carrentalinmanila/ for updates and promos.